Springing into action, the Pitlochry Explorers’ Garden awakes from its winter slumbers, ready for a burst of new growth and a fabulous array of dazzling and captivating colours! Winter at this famous garden has seen lots of work going on behind the scenes, making sure that it will bloom in its full glory for the summer months. During the past months, Julia Corden, manager of the Explorers Garden has been extremely busy with garden maintenance, but also with the creation of an exciting Bio-Diversity project which will see the general grounds and car parks of PFT gradually turning into a haven for insects, bumble bees and other small wildlife. 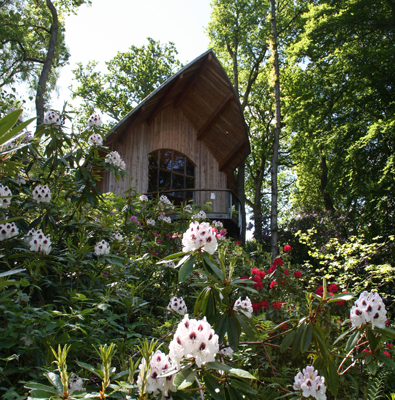 Enjoy an Explorers Garden Tour, featuring the stories of the great Scottish Plant Hunters and their plants, trees, art and architecture. The Pitlochry Festival Theatre 2013 acting ensemble gathered on the platform of Pitlochry’s train station recently to ‘signal’ the arrival of another fantastic Season of six shows! The 18 strong ensemble boasts several familiar faces from recent Seasons including the irrepressible Dougal Lee, who returns to celebrate his 50th PFT production this year, Robin Harvey Edwards in his 9th consecutive PFT Season), Jacqueline Dutoit who won critical acclaim for her role as Mrs Coade in Dear Brutus, Irene Allan (What Every Woman Knows 2009) and Martine McMenemy fresh from the spectacular White Christmas as well as Kiss Me, Kate 2010. More good news! Thanks to a £97,000 grant from the Foyle Foundation, PFT now has a new mixing desk (and radio microphones) which means you’ll enjoy a richer sound experience this Summer. And with opening night only 4 weeks away, now is the time to plan your Pitlochry visit(s) so don’t delay, call Box Office today! Call the Theatre on 01796 484626 or select your seat and buy online. All aboard, next stop Pitlochry! 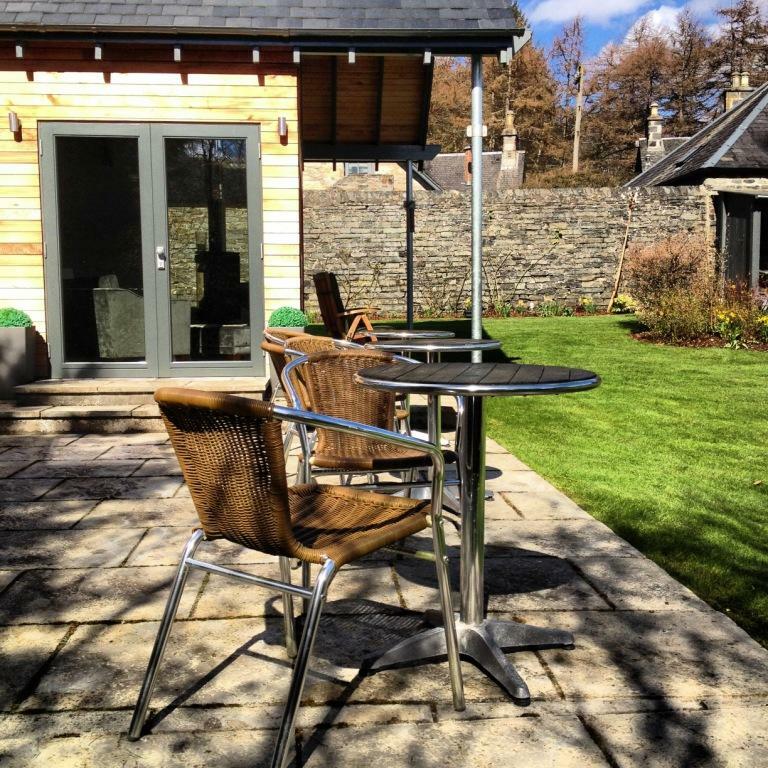 Spring time finally arrives in earnest in the Craigatin House & Courtyard garden! Blair Athol Distillery and Edradour Distillery. Both distilleries can easily be toured in a day and both are within walking distance from Craigatin House and Courtyard. 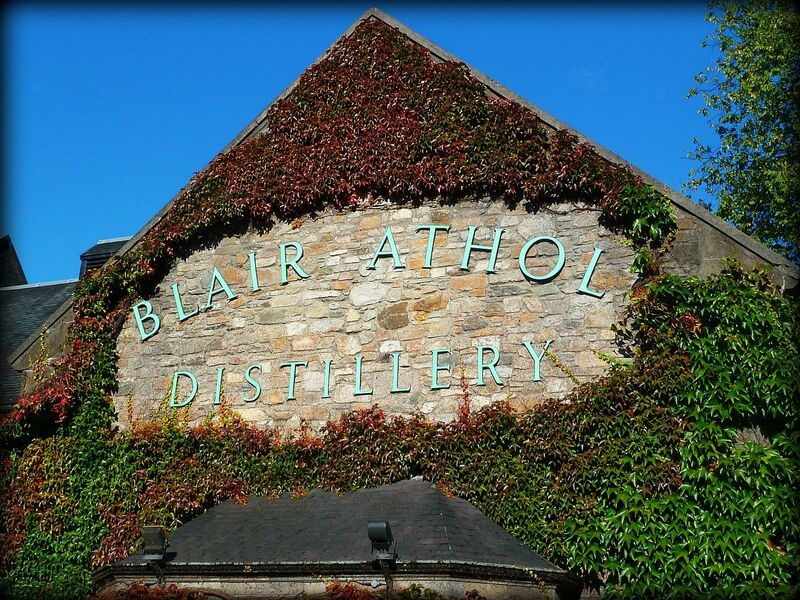 Blair Athol single malt Distillery stands at the gateway to the Scottish Highlands her in Pitlochry. It was established in 1798, and Blair Athol is one of the oldest working distilleries in the country. The distillery produces a 12 Year Old Single Malt Whisky, with a mellow deep-toned aroma, a strong fruity flavour and a smooth finish. Blair Athol wins hearts through its contribution to the Bell’s Blend, the most popular blended whisky in the U.K. Adult admission charge of £6.50 includes a discount voucher, redeemable in our well stocked distillery shop towards the purchase of a 70cl bottle of malt whisky. Free car parking available. Last tour one hour before closing times. Please telephone in advance to confirm tour times. 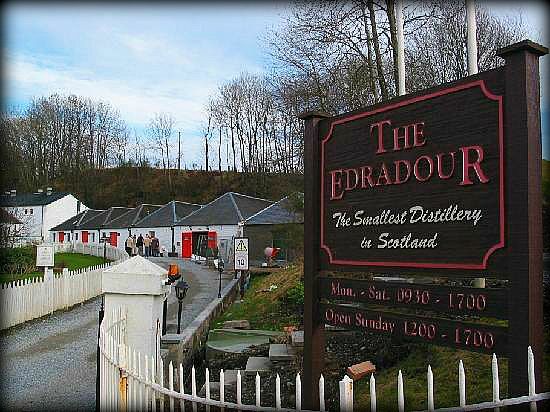 Edradour Distillery is one of the smallest Distilleries in Scotland. Edradour makes in a year what Blair Atholl makes in a week to give you some idea. If you have been to the Edradour distillery it is easy to understand why it is so popular with visitors. Being one the smallest and most picturesque distilleries in Scotland it’s a must for visitors on the whisky trail, however it also offers a lot more. It’s a charming place in the foothill above Pitlochry where the people are genuinely warm and hospitable, the landscape glorious and the lifestyle untouched by the perils of the twentieth century.